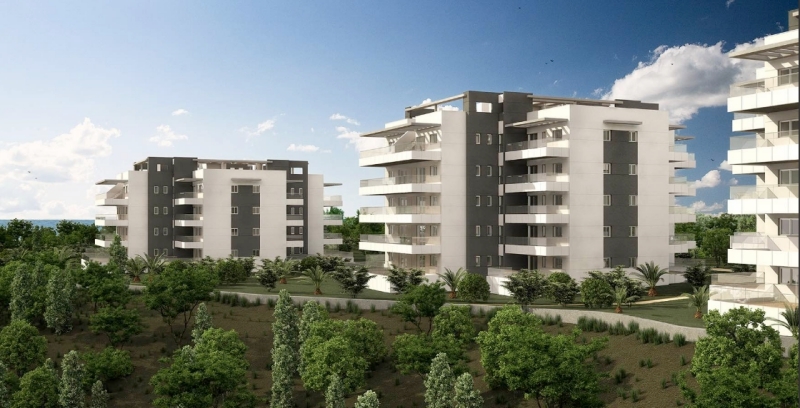 The Green Hills community consists of modern style 2 or 3 bedrooms and 2 bathrooms apartments with spacious terraces. 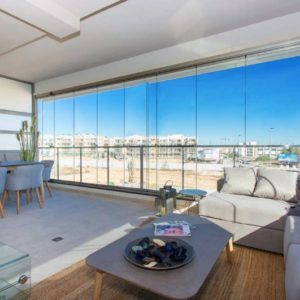 The apartments are divided over 4 floors, the ground floors offer extra large uncovered terraces and the penthouse magnificent solariums. 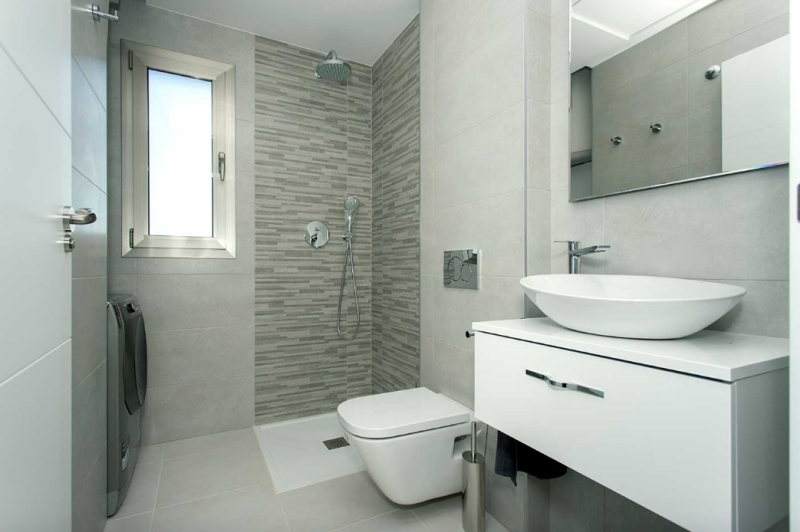 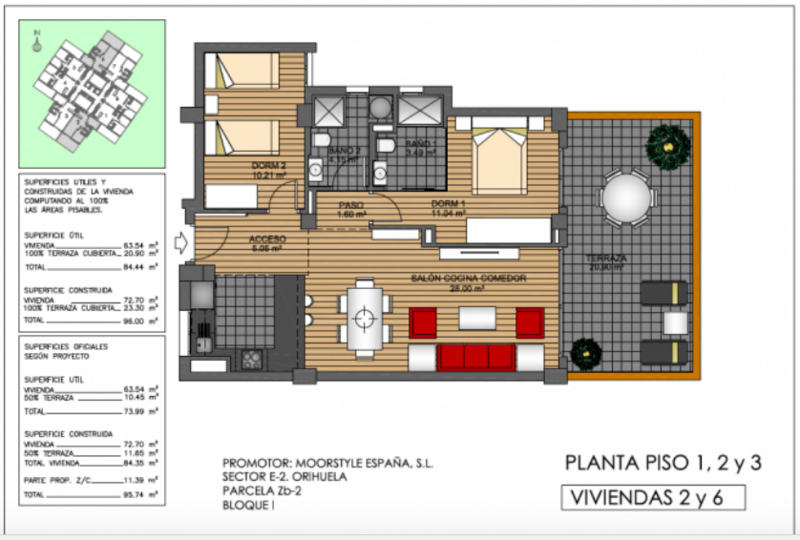 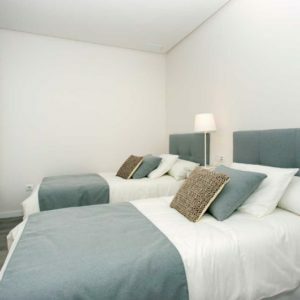 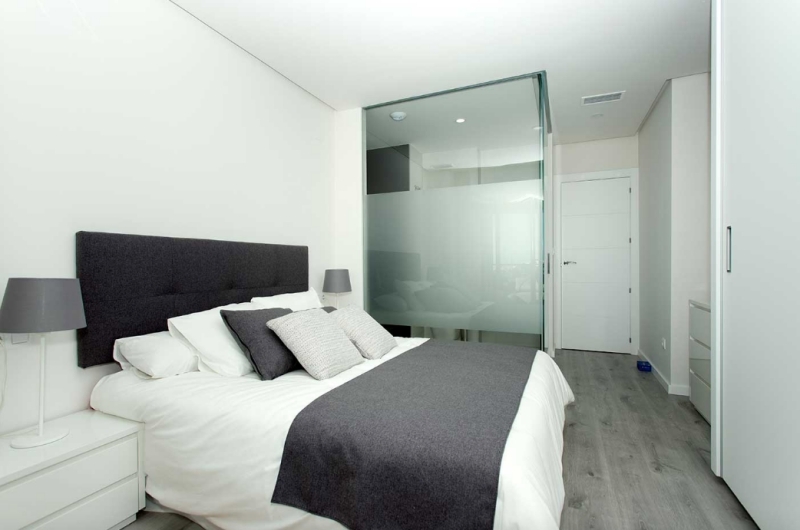 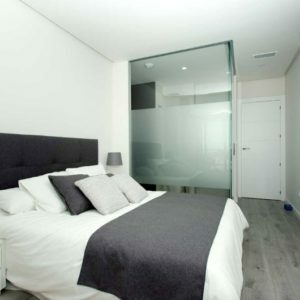 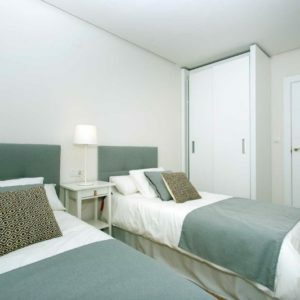 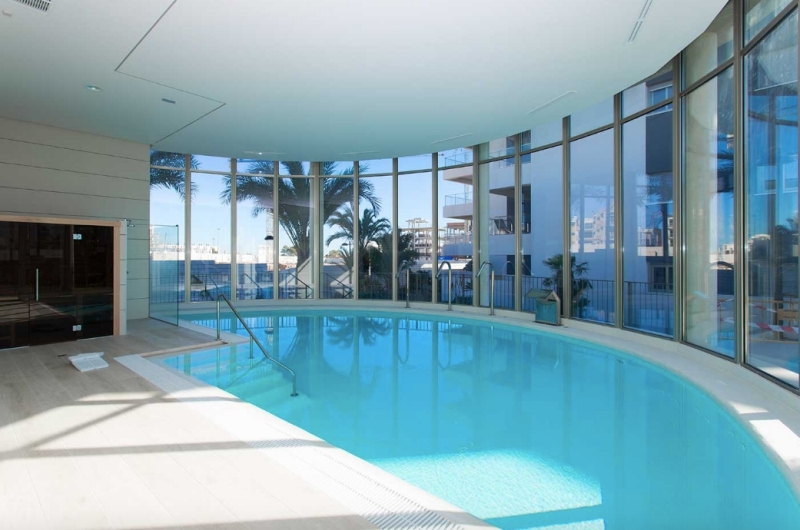 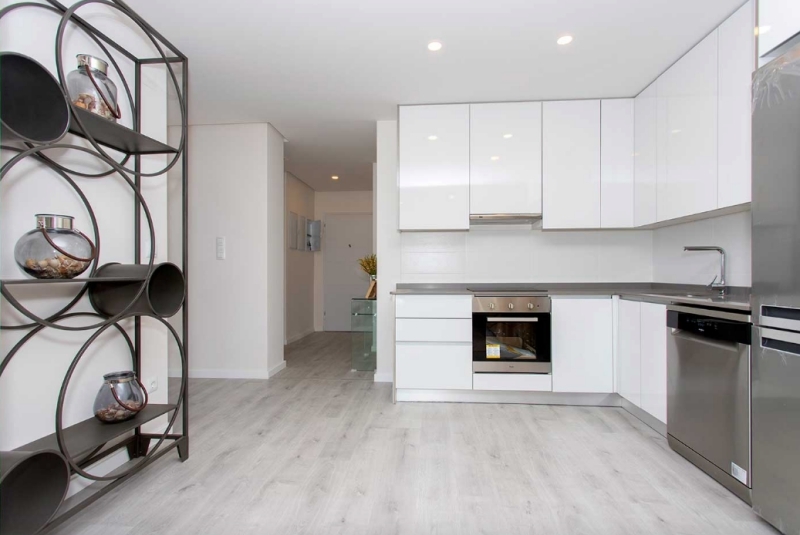 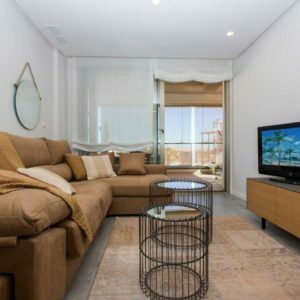 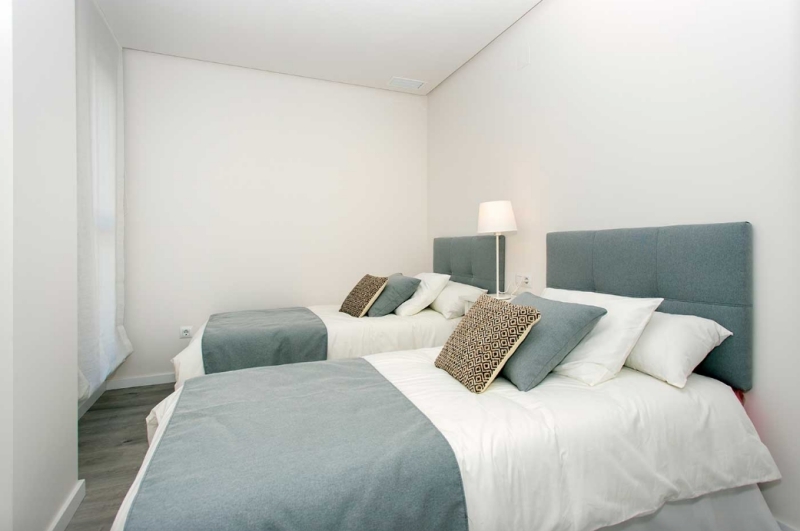 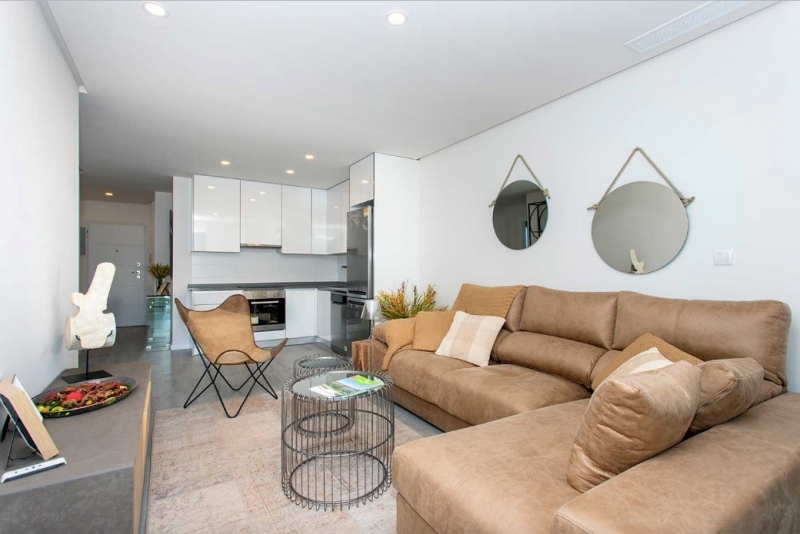 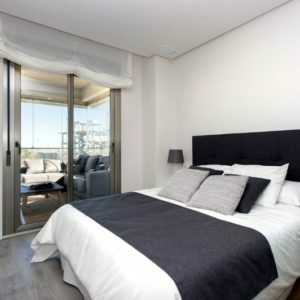 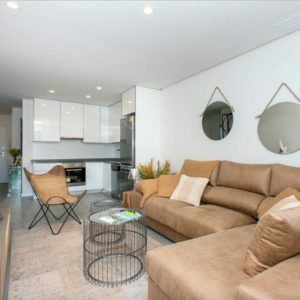 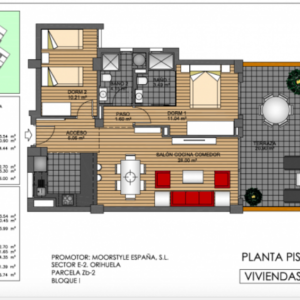 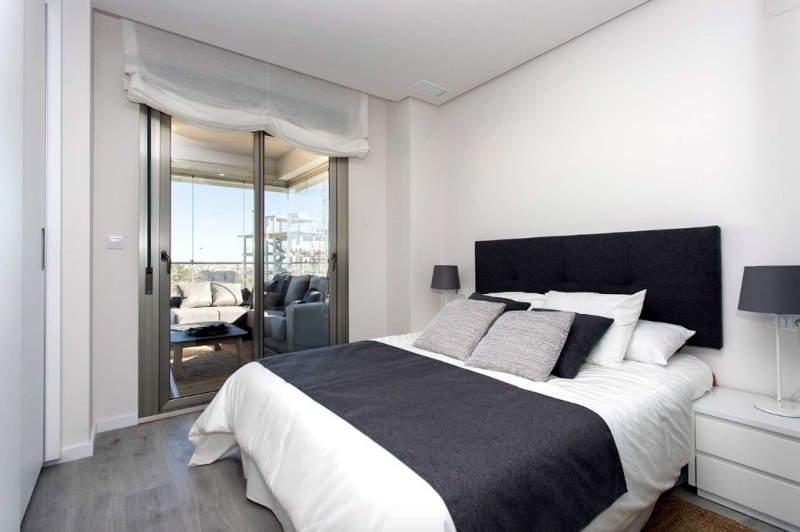 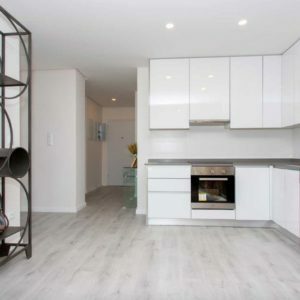 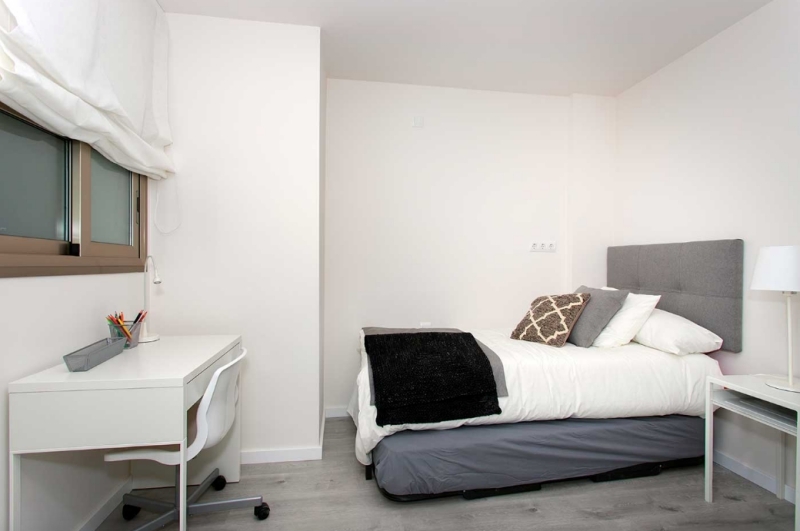 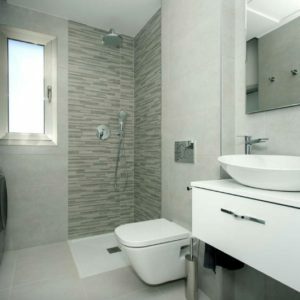 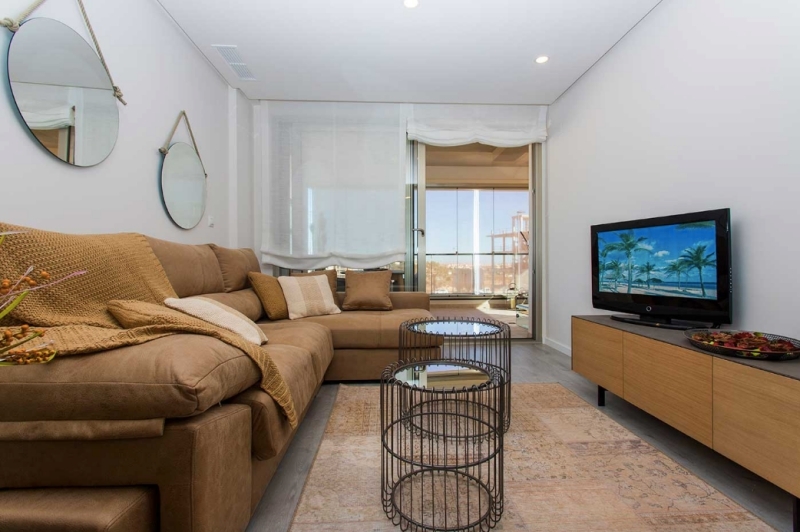 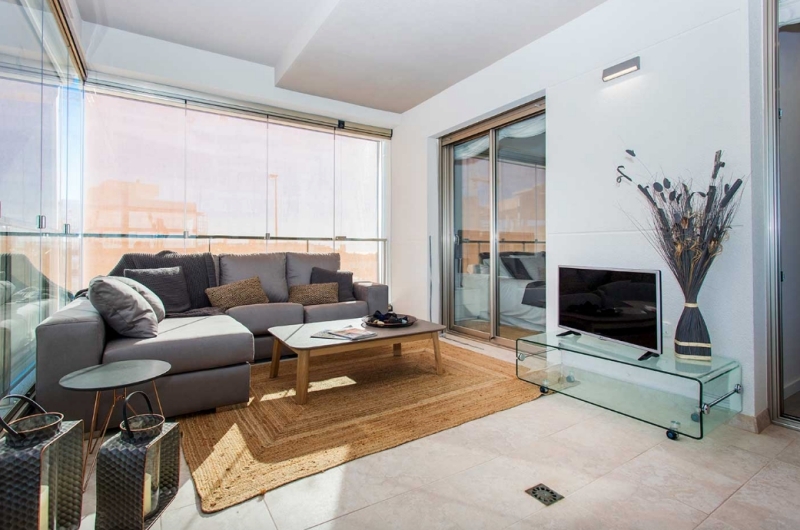 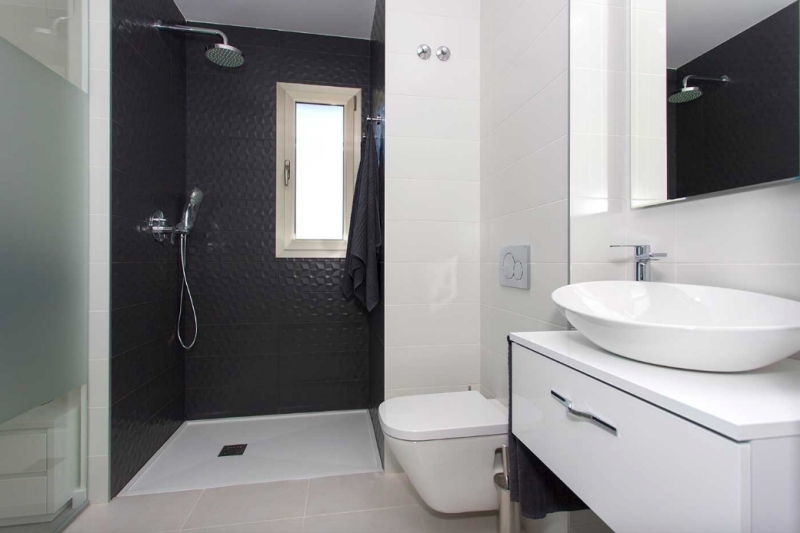 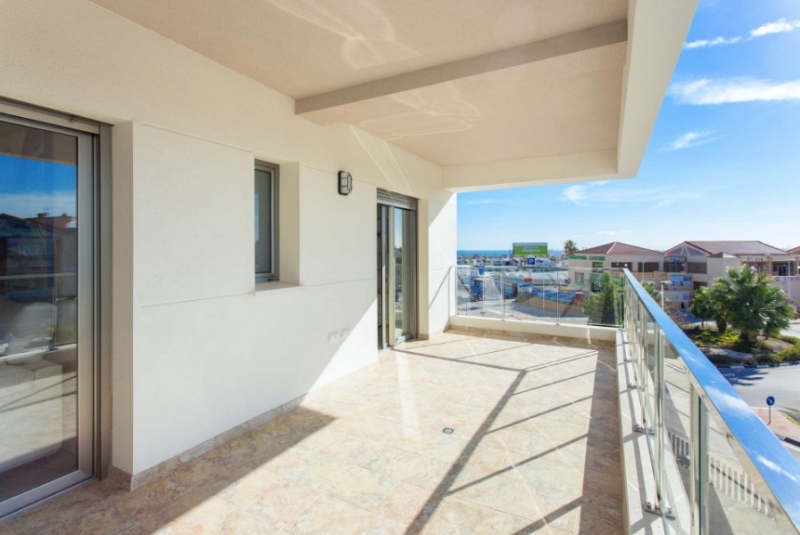 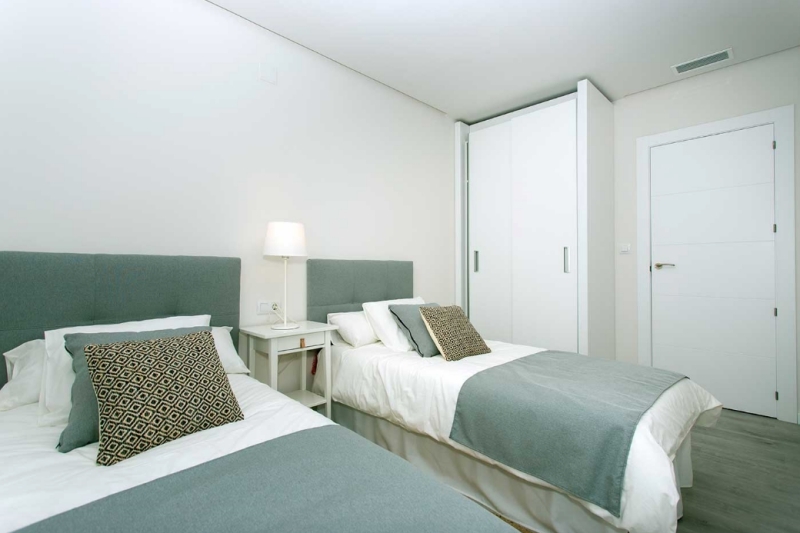 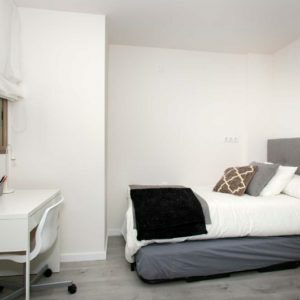 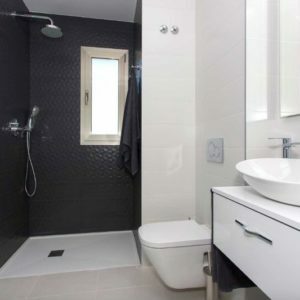 The apartments are equipped with main white goods, air conditioning and underfloor heating in bathrooms. 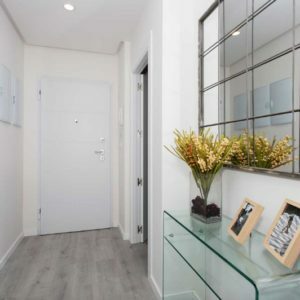 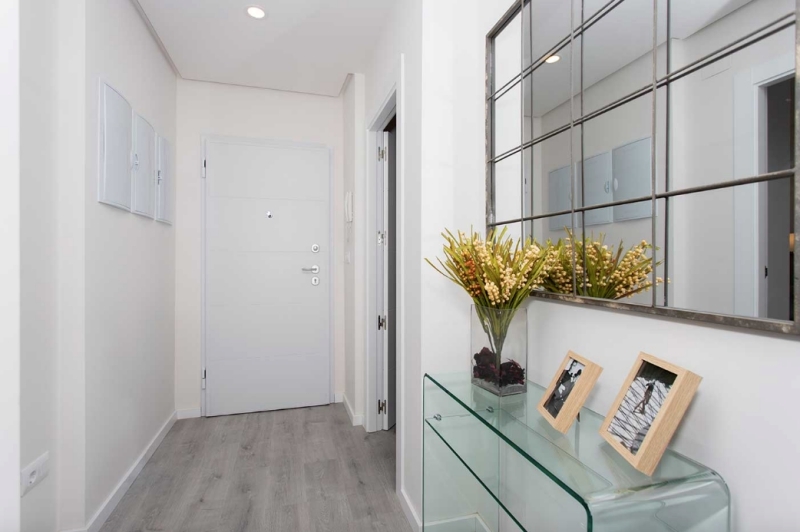 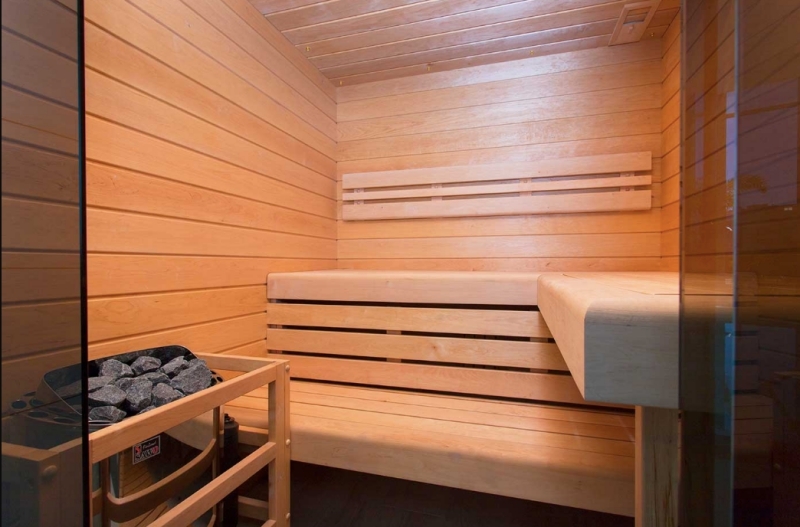 Underground parking is included in the price and you have the option to add a private storage room. 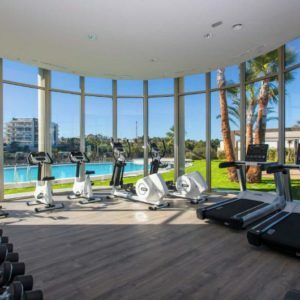 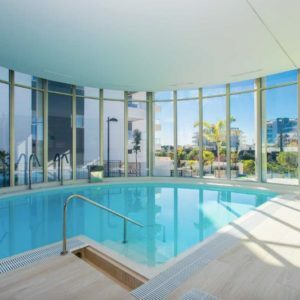 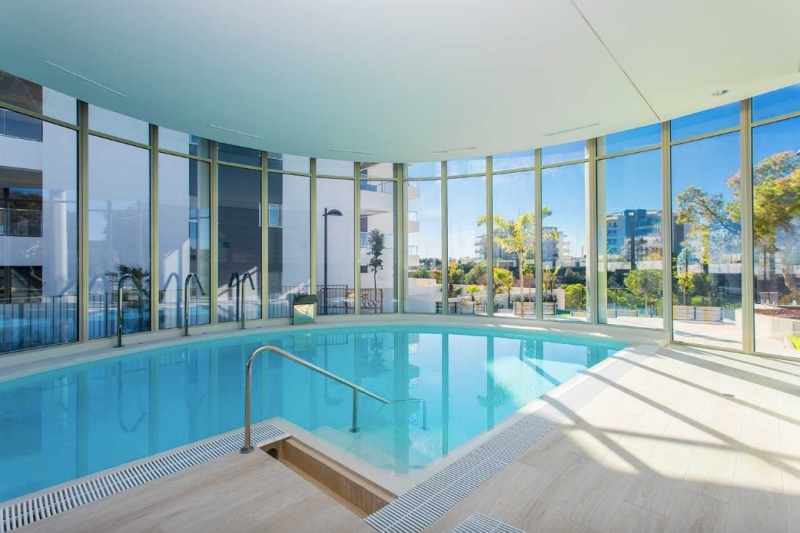 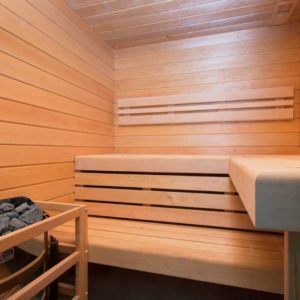 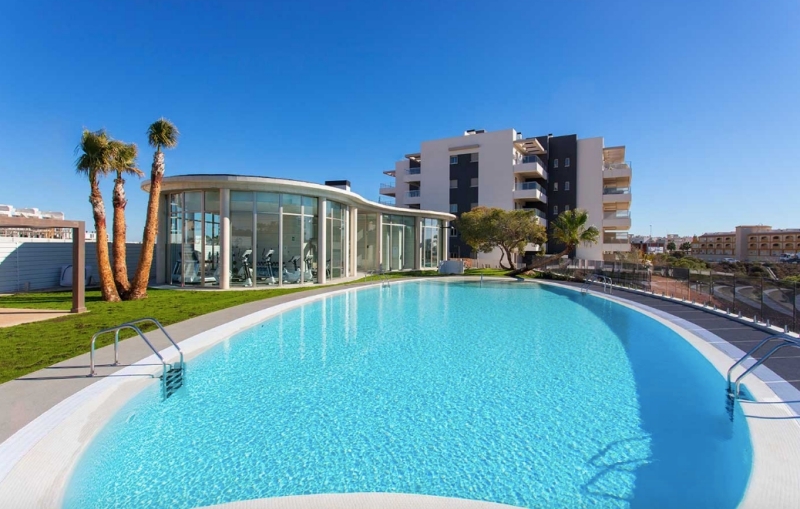 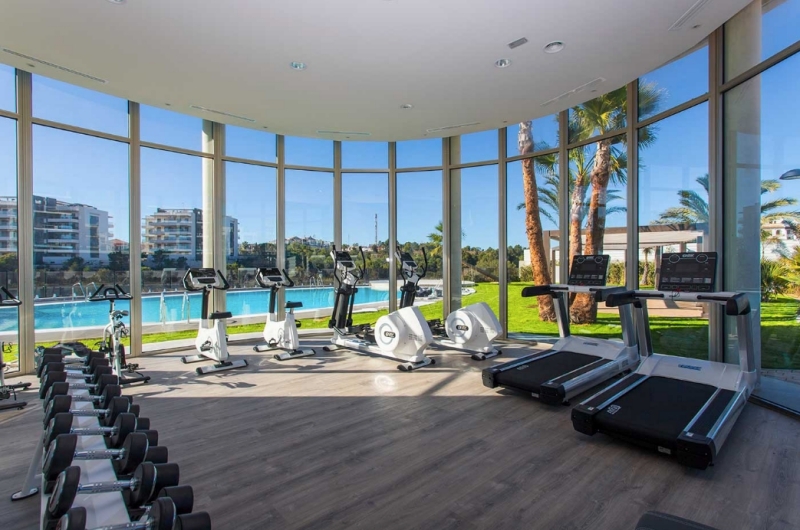 The communal area offers great garden areas, SPA with heated pool, sauna, GYM, beach entrance pool with floating wooden sunbathing deck, lane line swimming pool and playground. 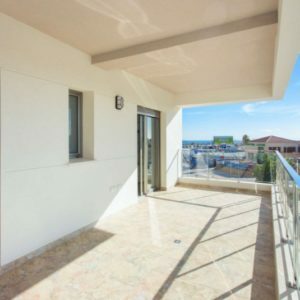 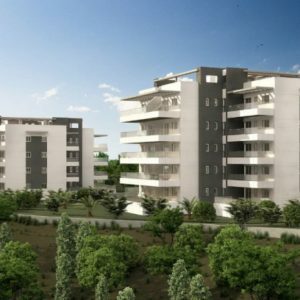 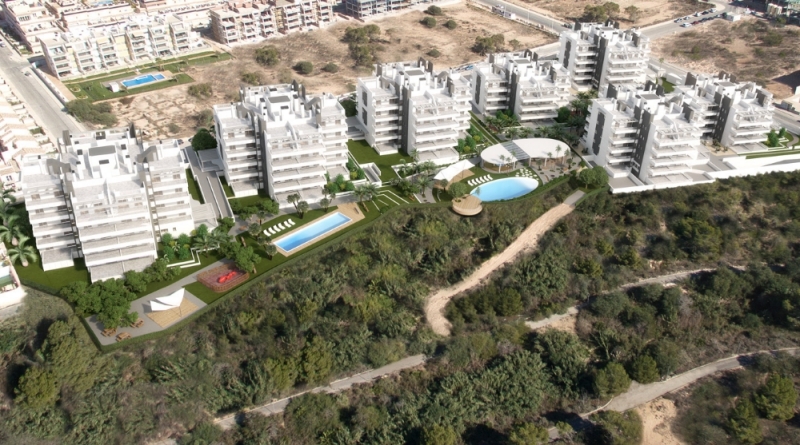 Green Hills is located in privileged surroundings, only 2 km from Zenia Beach and very close to the well known Zenia Boulevard shopping center. 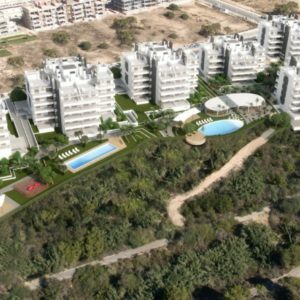 Close by you find supermarkets, restaurants and several golf courses. 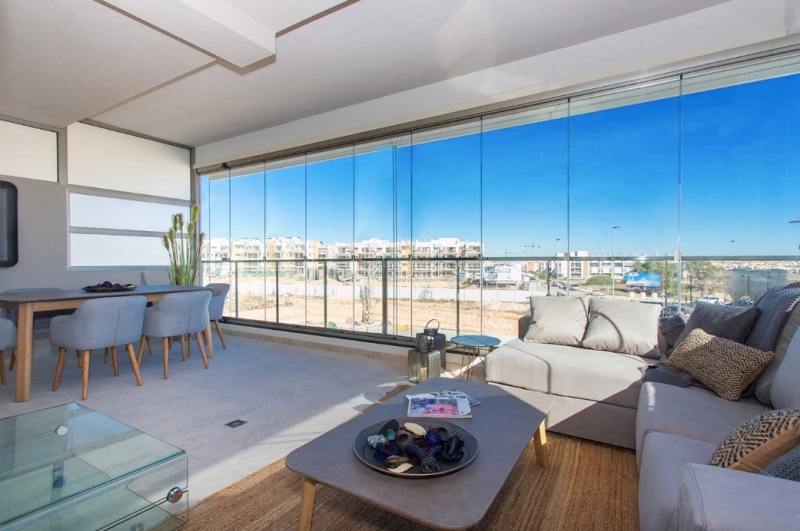 The Zenia Boulevard Shopping Centre, one of the most important in the area at over 80,000 m2, is just 1 km away. 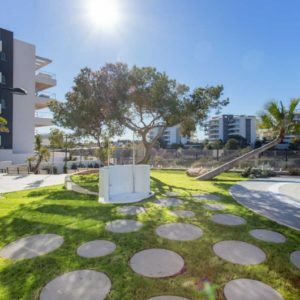 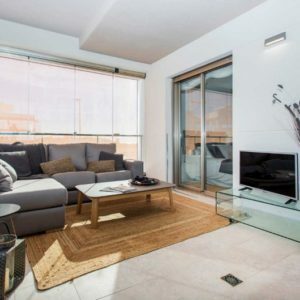 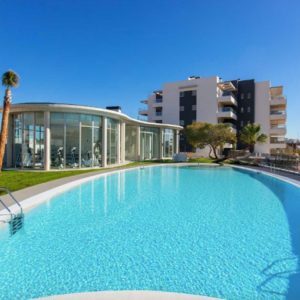 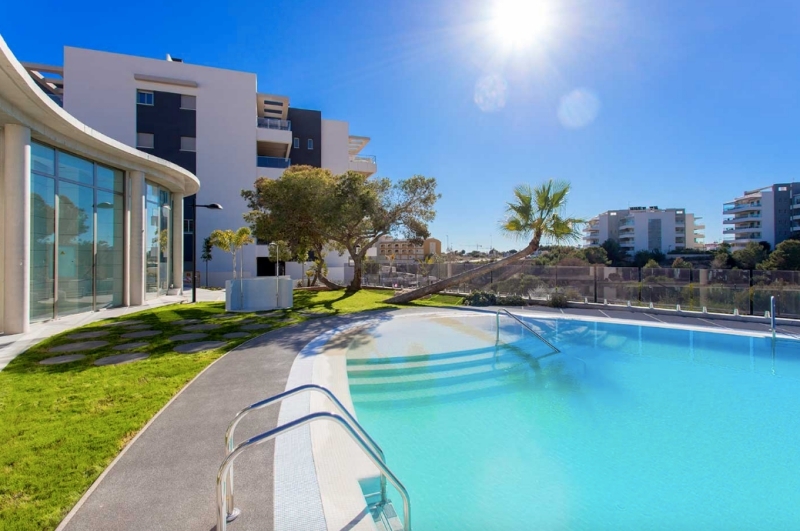 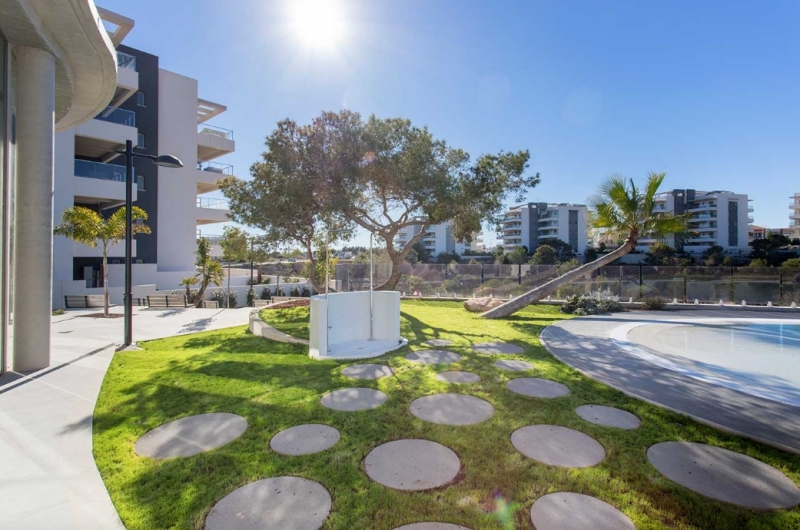 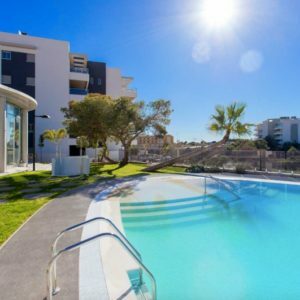 You can enjoy 3 excellent 18-hole golf courses at Golf Villamartín, Real Club de Golf de Campoamor and Golf Las Ramblas de Campoamor, all within 2 km from the development.